Are you confident you know how to keep your child safe when using the internet, social media, apps and games? 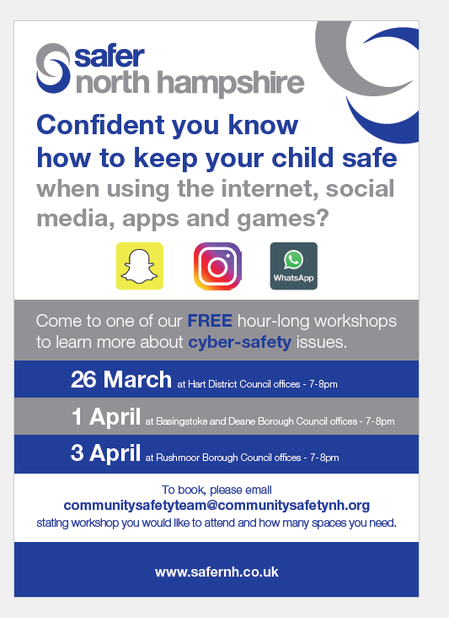 Safer North Hampshire are holding free workshops for parents to learn more about cyber-safety issues. Please see flyer below for full details of dates/locations and how to book a place.